That sort of sentiment is amped up further in South India, where education trumps everything. Understandably, those were the dreams of D Raja and Meena Kumari, Mohan Kumar’s parents. Born in one of Chennai’s poorer areas, Mangalapuram in Ambattur, they were sure of one thing. To move up, we need our two sons and daughter to finish school, go to a good college and get a job. But there was a rude awakening for the best laid plans. Just as Mohan sat down to write his Class I annual exam, he caught fever. He wasn’t well but still wrote the exams. He failed. That was a shock for Raja and Meena. How could their son have flunked Class I? That was a bigger shock for Raja and Meena. But there was another development in Class VI. 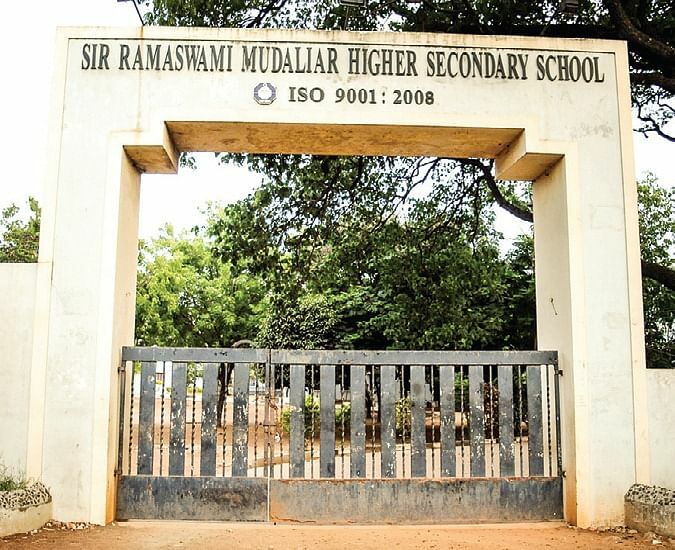 He saw a few of the older kids running in his place of education, Sir Ramaswami Mudaliar Higher Secondary School. He liked it at once. He wasn’t a natural but kept at it. “I used to lose even when I ran against girls,” he says with a laugh. That’s when the school PT master, who had obviously seen something in him, decided to devote most of his attention towards him. But there was a two-pronged problem — Raja and studies. “I was initially very skeptical when Mohan told me he wanted to become a sportsman,” Raja reveals. “That’s because I myself wanted to become an athlete but just did not have the means to become one and I was afraid Mohan would run into the same problems.” An amateur footballer back in his youth, Raja had to try and arrange `100 to get his boots ready for local Sunday games. So he tried to dissuade his son from taking a liking to running. With authentic spikes costing in the tens of thousands, Raja, who was earlier in the sand business, knew it wouldn’t be easy. But seeing his son run convinced him. His battle with education was a different matter. SRM School, where he studied from Class VI, weren’t willing to pass him to Class X. Given a lot of schools put the ‘we have 100 per cent result in 10th standard,’ as one of the main selling points on their prospectus, the management weren’t willing to clear his name. But the PT master, who was by now convinced that Mohan was a cut above the rest on the track, intervened. “He helped me a lot. Even when I failed in Class IX, he spoke to the school management and urged them to reconsider. He told them ‘please don’t tamper with the life of a budding athlete’.” Commonsense prevailed and he was put in Class X, where he passed. He did not let the school down in Class XI and XII , even though many had “nailed me down as the guy who would not give 100 per cent to studies”. His work on the track had improved considerably in the interim. In U-14, he used to run 400m in about 53 seconds. As he was about to enter college, he was on the verge of running sub-49s. He didn’t let them down. In December 2014 Mohan did a rare double in the 200 as well as the 400 in the meet. He was selected as the best male athlete for those feats. That was the competition that thrust him into the national spotlight. Tamil Nadu wasted no time in including him for the National Games that would follow in Thiruvananthapuram a month later. 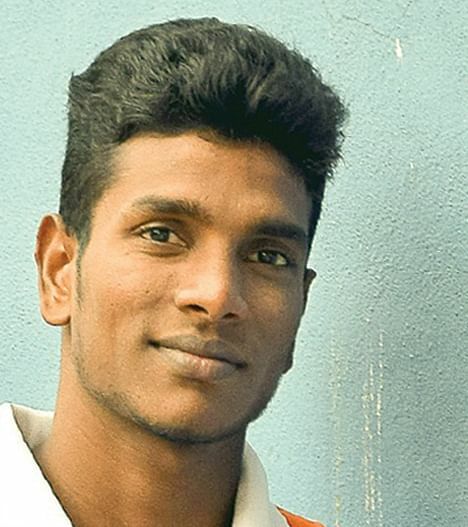 A year later, in December 2015, the college again reminded Mohan of his promise — gold in the AL Mudaliar meet. There was extra motivation this time. Nobody had won back-to-back gold medals for the college. It was no problem for Mohan, who was by now a genuine outsider to represent India if they qualified for Rio. Gold followed in the 200 and 400. The college marked him on duty while he continued his training. His macro and micro economics professors didn’t mind his absence as the whole institution started to invoke God in the hope of him making Rio. And when the men’s team qualified on July 10, their prayers were answered. Given the admission process doesn’t finish till August, DG Vaishnav had the ultimate selling point, written in bold letters on their website. There is a poster of Rajinikanth looking dapper with the Malaysian skyline in the background at the entrance of a small lane on the busy Madras-Thiruvallur High Road. It’s obviously a promo for Kabali and its length is perhaps bigger than the width of the street. One will have to go through that to reach Mangalapuram, a place that you associate with anti-social elements. For a few days last year, Mohan was the poster. The larger-than-life cut-out at the beginning of the street. At Rio, Mohan will be the one carrying the blessings.